Playing an integral part in the world of motor sport, TAG Heuer presents the Formula 1 automatic watch. 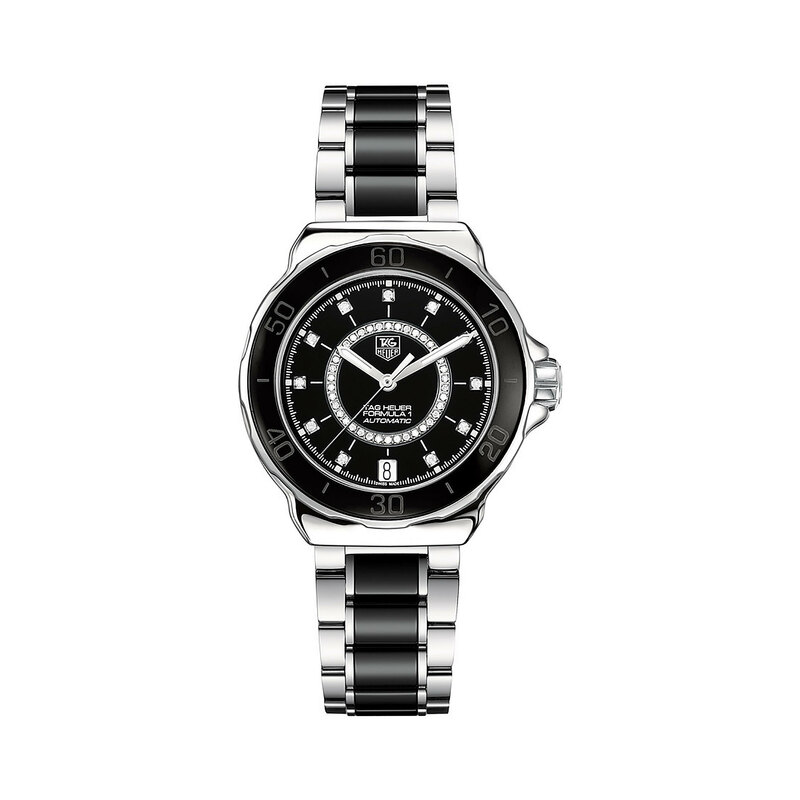 The steel case features a black ceramic bezel. The black dial presents engraved minute indicators and white diamonds marking the hours and an additional diamond-set ring. The date window is presented at six o'clock. A brushed polished steel and black ceramic link strap with a folding buckle adds the finishing touch.